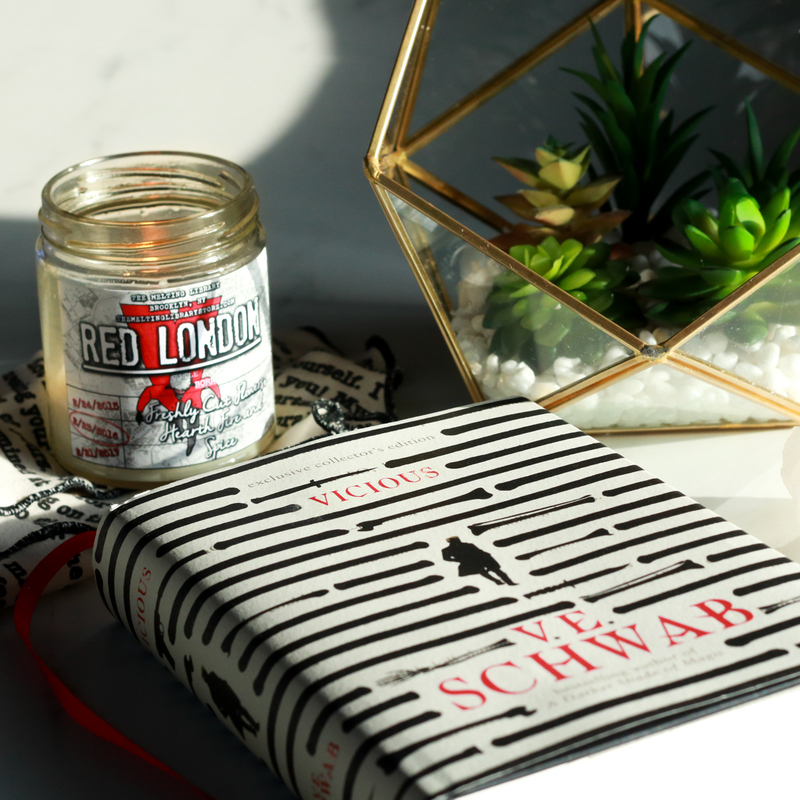 Books with magic will always be my favourite—my true escapes—so obviously, I’m a major fan of Victoria Schwab. 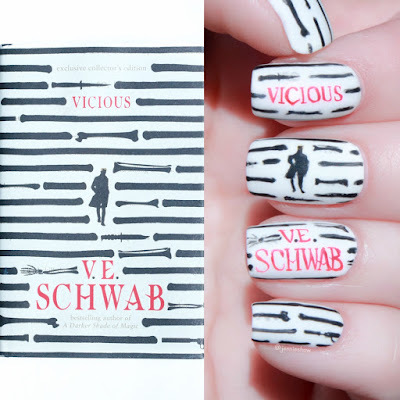 My first Schwab title was THIS SAVAGE SONG, followed by the Shades of Magic series, and with bookstagram counting down the days until VENGEFUL, it was time to read VICIOUS. The Titan books collector’s edition, to be specific. Because that jacket design, for real. And also the book itself…and the ribbon bookmark. My point is, the entire thing is gorgeous times one million, and the inside is even more awesome. 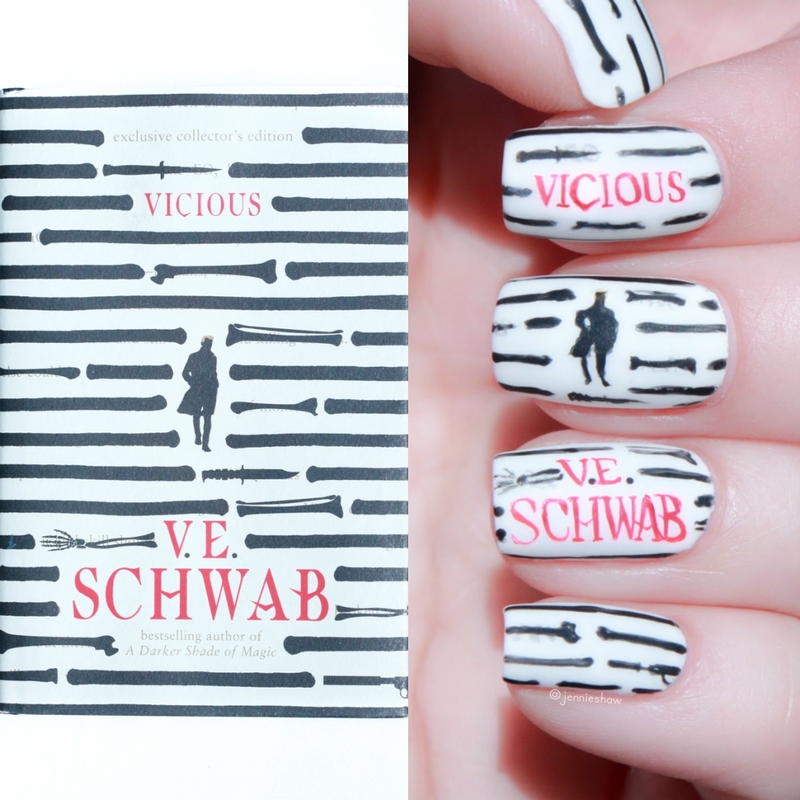 It’s interesting that I read GIVE ME YOUR HAND and VICIOUS back to back, as both novels had competitive friends who ultimately destroyed each other. Only in VICIOUS, it was two men. And said men gave themselves superpowers before becoming archnemeses and vowing to destroy the other. Yes, VICIOUS was basically revenge central with an X-Men vibe, which meant I couldn’t get enough. But Victor and Eli, an accepted villain versus a self-proclaimed hero who was in denial about his villain-ness, weren’t in it alone. Each had a sidekick and in Victor’s case, he had two. So while the men were focused on destroying the other, they had to contend with allies who didn’t always agree with their actions. Even thwarted them, in certain moments, and I adore supporting characters that challenge protagonists while asserting themselves. In the case of Eli’s partner, she gave him a run for his money and the unpredictability of their relationship added another layer of tension. My only critique was the abrupt switching of past and present. At times, chapters felt prematurely cut off—too short without enough of a reveal. I’m down with drawing out backstory, but the back and forth made my head spin, and consequently took me out of the story, which was frustrating. That said, I can’t wait for VENGEFUL. In fact, I may have ordered two special edition boxes, due to my addiction to Victoria Schwab’s writing and consequential need for all the merch possible. There’s still a couple of months left until VENGEFUL hits shelves, so you've got time to read VICIOUS and get psyched. 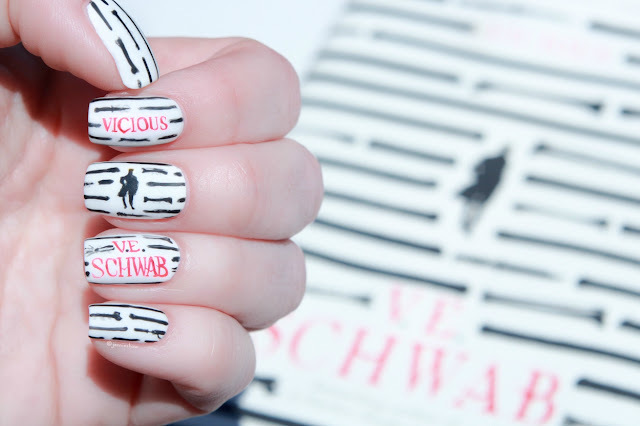 Because revenge is a dish best served whenever, as is losing yourself in a Victoria Schwab world.